I have a new short story out on Amazon, "Battle of the Network Superheroes". Check it out. Seriously. It is very entertaining and really funny. You will like it. And if you are a fan of "Supergirl", "The Flash", or "Arrow", you will really, REALLY like it. When they decided to bring back a new, re-imagined version of “The Battle of the Network Stars”, writer James J. Caterino knew he had to find a way to get into the competition. And when he did, it became the adventure of a lifetime. 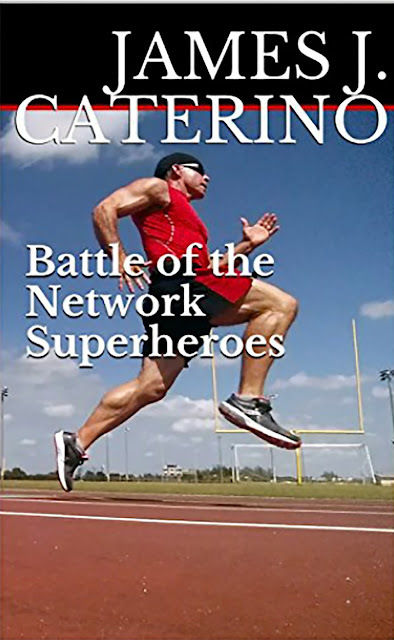 “Battle of the Network Superheroes” is another wild, wickedly entertaining tale from the fevered imagination of controversial author James J. Caterino, creator of “Steel Phantom”, “Among the Stars”, “The Last Neanderthal”, and the “Caitlin Star” series.